The Meadows' Abigail Klein hits a forehand. 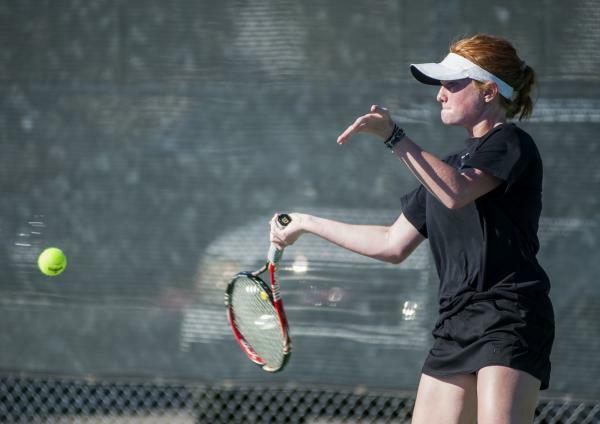 The Meadows' Abbigail Klein hits a backhand. 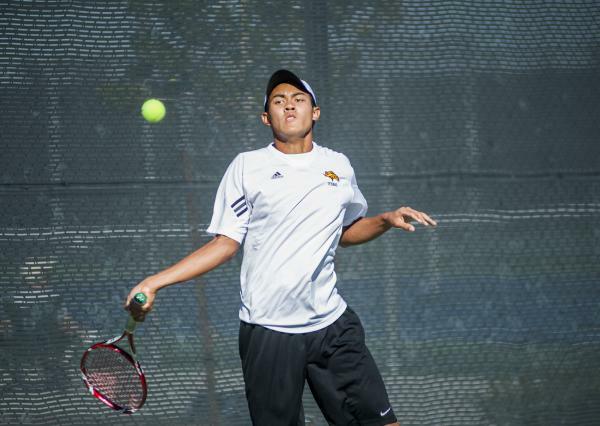 Clark's Miko Pasimio eyes a forehand. 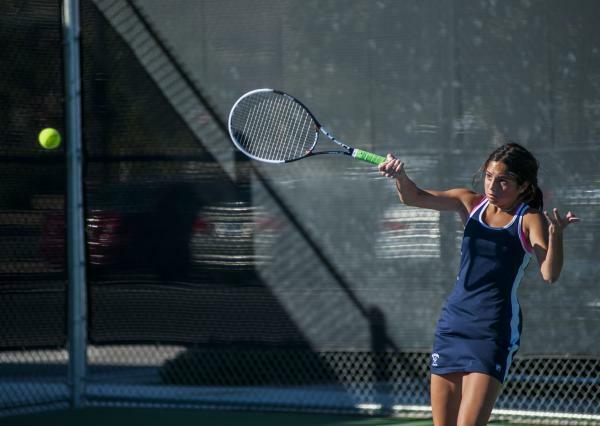 Clark's Miko Pasimio prepares to hit a forehand. 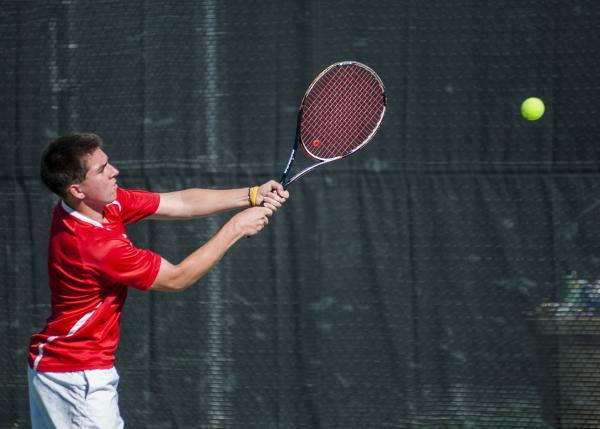 Tech's Christian Valle hits a forehand. 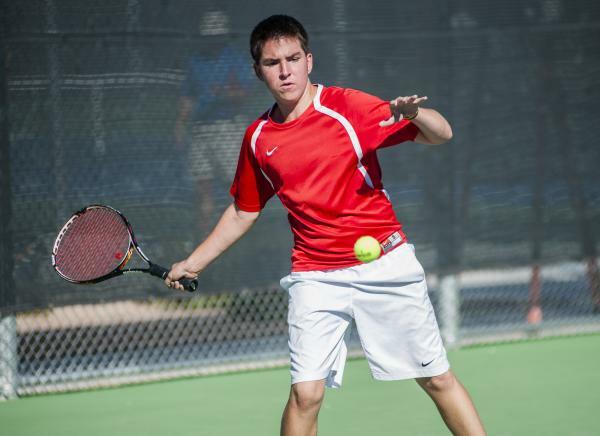 Tech's Christian Valle reaches for a backhand. One week after a heartbreaking loss in the Division I-A Southern Region final, Abbigail Klein got revenge in a rematch on Saturday. 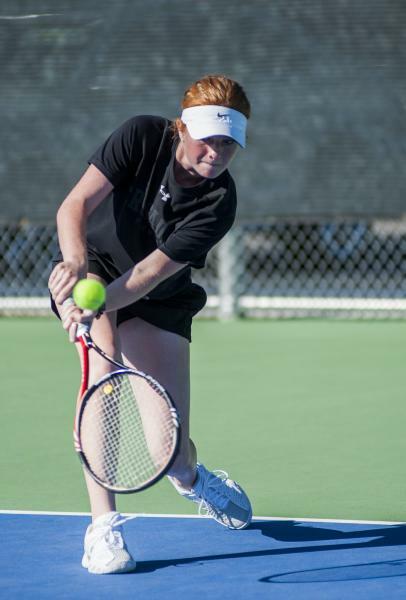 A freshman at The Meadows, Klein avenged a three-set marathon loss in the region final by defeating longtime friend Madison Foley of Faith Lutheran, 6-2, 6-1 in the Division I-A girls singles final at Bishop Gorman. Foley, also a freshman, hung tough early before a break of serve helped Klein to a 5-2 lead in the first set. Klein rattled off the next six games to remove much of the doubt. The two know each others’ games well. When Klein and her family moved from Ohio more than a decade ago, the first family to befriend them was Foley’s. The girls doubles final also was contested between close friends. Meadows sophomore Ava Frazier and freshman Anuja Daulat downed teammates and sophomores Samantha Gondy and Shalini Shah, 6-4, 6-3. “It’s really nerve-wracking because you want them to win, too,” said Frazier. 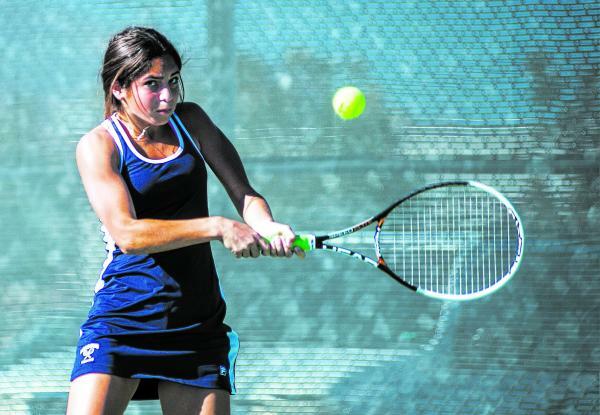 The quartet helped the Mustangs to the state team title on Friday, but on Saturday weren’t shy about pounding volleys at each other from close range. While the Mustangs were in the process of sweeping the girls titles, Clark claimed both boys crowns. Sophomore Miko Pasimio completed a dominating season with a 6-0, 6-2 win over Tech junior Christian Valle in the boys singles final. Pasimio lost only three games in his four Southern Region tournament matches and dropped just six total games in the state tourney. “I just tried to keep the points shorter,” Pasimio said. 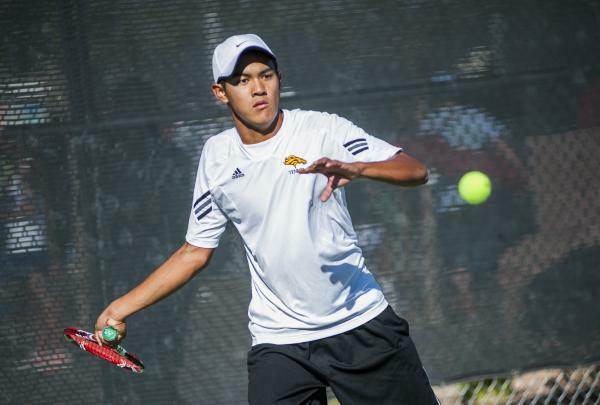 Clark’s Deric Pang and Chaitanya Ingle successfully defended their state doubles title, topping Truckee’s Colin Gerrard and Teagan Pado, 6-4, 6-1. Pang, a senior, and Ingle, a junior, became the third doubles tandem in state history to win the title in consecutive years. They’ve also played major roles in the Chargers winning the last two state team titles, breaking a more than 30-year dry spell for Clark in both categories.